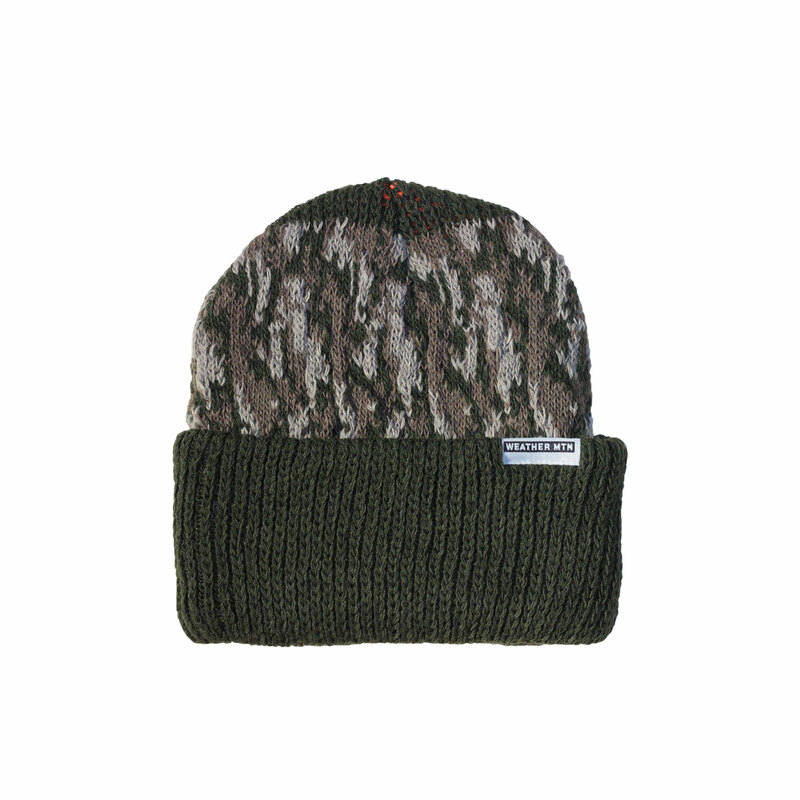 The “Sleet” Heavy-Weight Beanie is a super soft, knit beanie that a features a tonal camo pattern woven into the head. The interior has a contrast hunter orange color way to offset the olive green exterior. We kept it simple with the branding on this beanie and finished it with our “Bar” clip label at the end.